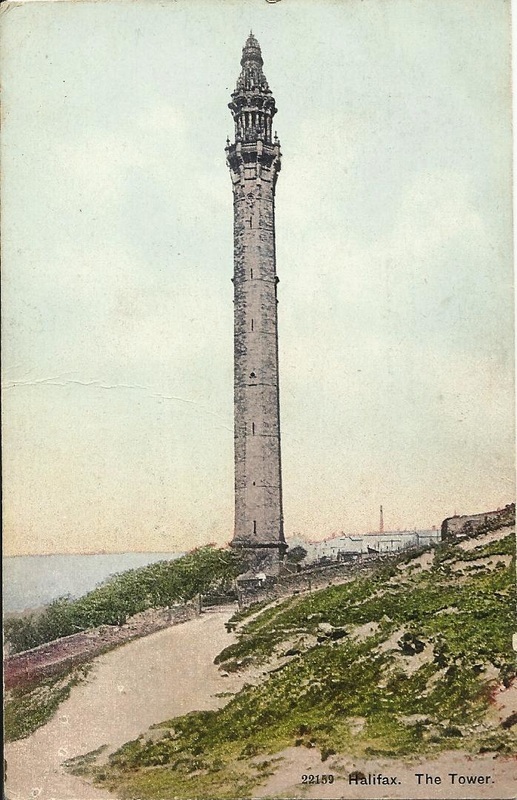 John Edward Wainhouse was the owner of Washer Lane Dye Works and after the Smoke Abatement Act of 1870 he had to build a tall chimney. In 1871, the architect Isaac Booth drew plans for a chimney fed by a pipeline from the factory. 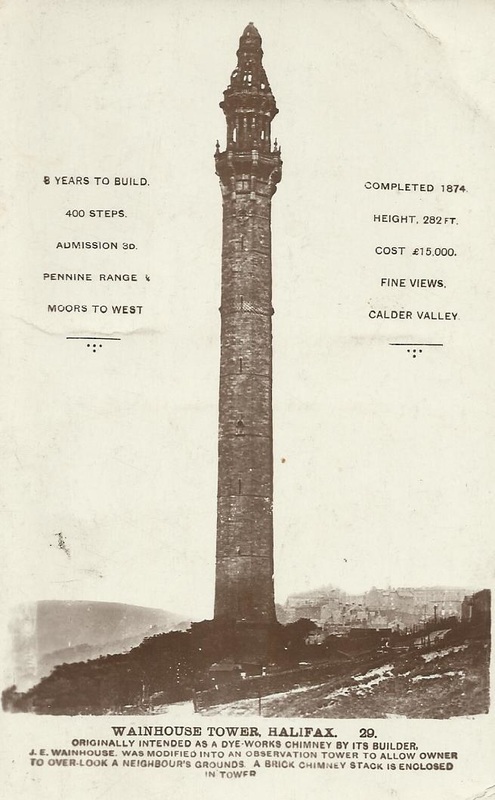 Wainhouse sold the dye works to his manager in 1874 who refused to pay the cost to finish the chimney. 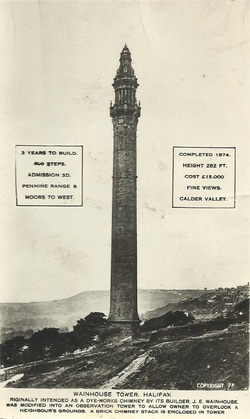 Wainhouse employed the architect Richard Swarbrick Dugdale to convert the chimney into a belvedere and it was completed in 1875 at the cost of £14,000. 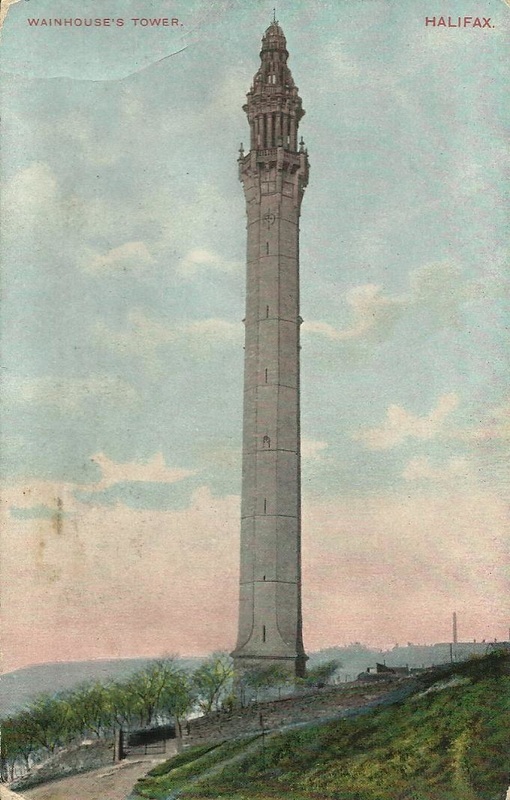 The tower is 275 feet high topped with two balconies and a lantern.